Whenever I hear that new educational standards are coming out, I go through a roller coaster of emotions and a lot of frantic self-talk. 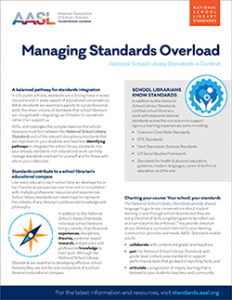 Click here to download the one-page “Managing Standards Overload” resource on the AASL Standards portal. Sound familiar? Well, this time I’m tired of the roller coaster! And so are the members of the AASL Standards and Guidelines Editorial Board and my fellow members of the Implementation Task Force. In fact, I joined this effort precisely because of my ongoing frustration with standards. How could we use new standards as an opportunity for reflection instead of an opportunity to be handed new rules from on high? As we all know, when a shiny new educational initiative or set of standards gets “rolled out,” it often means that the most innovative, human elements get flattened. 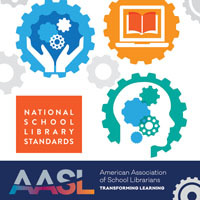 But this time around, AASL is offering an alternative to the one-size-fits-all standards-by-steamroll approach. Every time AASL rearticulates our standards, we create an opportunity to reflect on and renew our work. The standards themselves can never be the sole compass of our work. That statement might be tantamount to blasphemy in today’s standards-saturated educational landscape, but I firmly believe it’s true. 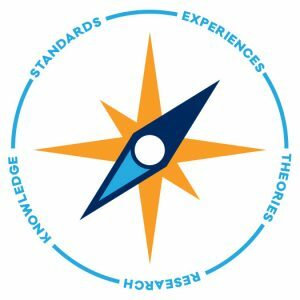 Standards are part of our educational compass, but our professional compasses must be bigger, broader, and more flexible than any one set of standards. This is especially true for school librarians because we work across the curriculum and we’re swimming in the alphabet soup of content-specific standards, technology standards, national standards, and state standards, and we can’t let any one set of standards be our sole compass for all the expansive work that happens in a school library. So what does it look like to expand our educational compass? I suggest we begin by revisiting our individual theoretical frameworks as educators. Thinking about your internal educational compass may feel like a throwback to your undergrad days. Why is it that we spend our preservice years forming an educational philosophy based on theory, research, reflection, and early practical experiences, but then as certified professionals, we are asked to turn ourselves over to the acronym assembly line so we can be fitted with external criteria and frameworks that direct our work? We need to reclaim our professional right and obligation to continually craft and curate our own educational visions. When we reconnect with our internal educational compasses–based on our professional experiences, what our students have taught us, and our professional research–we’ll be ready to see the standards not as an oppressive force but as an opportunity to tweak, modify, fill gaps, collaborate, and expand on the foundations we’ve been growing all our professional lives. 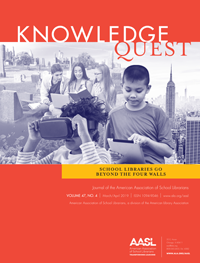 When you engage with the National School Library Standards at the AASL National Conference in Phoenix, I hope you’ll attend some of the pre-conference workshops and concurrent sessions that the members of the editorial board and implementation task force have been planning. 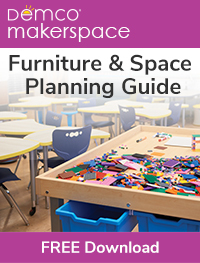 Every session focuses on inviting school librarians and stakeholders into an inquiry process to explore how the framework of the standards will be part of your work. Beyond the new name, new graphics, and revised language, it’s really about something as old as education itself: thinking, creating, sharing, and growing as individual educators and as a professional organization. And so when we meet the new National School Library Standards next month, our responsibility as educators will be to include the full depth and breadth of our professional knowledge and experience in our work. We will remember that the standards are not a disembodied source of knowledge handed down from on high; instead, they are shared language created by school librarians that will help unite our efforts across the country. Yes, as we integrate this iteration of the AASL Standards into our individual educational visions, we will bring with us all the messy human knowledge and experience that we’ve earned over the years. Because real change comes through our own reflective processes, guided by our own educational compasses.